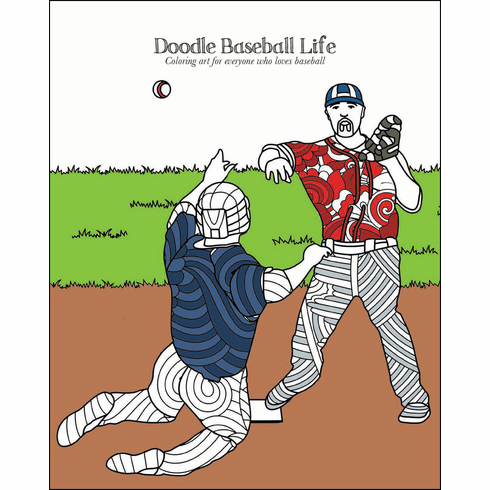 Doodle Baseball Life - Coloring art for everyone who loves baseball Zen Coloring Book for Adults and Children! Attention, coloring enthusiasts and baseball fans: it�s time to start using your shading skills on the baseball diamond! This brand new baseball-themed adult coloring book is here for your stress-relieving pleasure! This 12-page coloring book is luxuriously printed on artist-quality, 100% post consumer-recycled, acid-free paper. The pages have a tooth and texture ideally suited to coloring with markers, colored pencils, even crayons! Paper made with wind power � processed chlorine free � Green-e certified � USA made � printed using 100% solar energy! Paperback, 8.5" x 11", 12 coloring pages.